History of the Brandywine Valley. The Brandywine River winds from Southeastern Pennsylvania into Delaware carving out the beautiful rolling hills and valleys that are the landmarks of the Brandywine Valley. The Valley is where the Battle of Brandywine was fought, where the Du Pont's made their fortunes, built a company, and their mansions and gardens at Longwood, Winterthur, Hagley and Nemours that attract millions of visitors from around the world. It's where Howard Pyle was born and established his Brandywine School of American illustration that helped to shape the works of Frank Schoonover, N. C. Wyeth, Maxfield Parrish and others. It's where three generations of Wyeths have painted and documented the landscapes and people of Chadds Ford. And where today, tradition, history, innovation, art and discovery keep company. Historians tell us that the Lenape Indians called the Brandywine River, "Wawaset", "Sittacunck" and "Tankopanican". Swedish settlers called it the Fish Kill (kill meaning creek in Swedish) for the large amount of fish in the creek particularly shad and alewives. from an early settler, Andreas Brainwende (or Brantwyn), who established one of the first grain mills on the lower river. 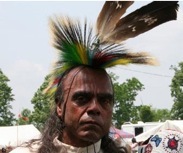 The original inhabitants of the Brandywine Valley were an Algonquin Indian tribe who called themselves Lenape (len-ah'-pay), meaning "common people". The tribe's traditional homelands included northern Delaware, eastern Pennsylvania, southern New Jersey and southeastern New York. It was a tribe related to the Lenape that sold Manhattan Island to the Dutch governor Peter Minuit for $24 in trade goods. The Lenape were eventually displaced from them lands by early Swedish, Finnish and Dutch settlers who acquired it through treaties with their chiefs who didn't fully comprehend the concept of land ownership. The Lenape gradually moved west and north, and came to be called the Delaware Indians after the river along which they first lived. Since the arrival of its first European settlers in the early 17th century, the Brandywine Valley played an important role in the development of the New World colonies. The Conestoga wagon was first designed and built by German settlers in Pennsylvania. Library of Congress Photo. Prints and Photographs Division LC-USZ62-24396. Many American innovations had their origins in the Valley. The log cabin, which would spread far and wide over the American frontier, was introduced to America by the early Swedish and Finnish colonists. The Conestoga wagon, made famous as the "prairie schooner" of the great westward migration, was developed to haul grain to water-powered mills on the swiftly falling Brandywine. Those mills made the lower Brandywine the most important milling center in the country from the last half of the 18th century, and well into the first half of the 19th. By the early 18th century, the Brandywine Valley was the America's paper milling center and the major supplier to the print shop of Benjamin Franklin in Philadelphia. In 1776, the mills supplied the paper to print currency for the colonies and the Continental Congress and... the Declaration of Independence. One of the Valley's most famous figures was William Penn, the great "Proprietor" who made Pennsylvania ("Penn's Woods") into a bastion of religious and political tolerance. He encouraged his fellow "Quaker" members of the Society of Friends to settle throughout the area, where their quiet, steady demeanor is still a major influence today. And it was on the banks of the Brandywine that a French émigré named Eleuthére Irenée duPont de Nemours established black powder mills at what is now Hagley Museum which gave rise to the DuPont Company of today. The major attractions of Winterthur and Longwood Gardens as well as Nemours Mansion were built from the fortunes the company created and many of the area's philanthropic institutions were developed and endowed by members of the duPont family. The Valley's earliest permanent European settlers were a group of Swedish and Finnish soldiers and adventurers who landed near the mouth of the Brandywine River in March of 1638 aboard two ships, the Kalmar Nyckel (or "Key of Kalmar," a Swedish city) and the smaller Fogel Grip ("Bird Griffin"). They established Fort Christina, named in honor of Sweden's queen, as a stronghold and trading post on land which is today within the city limits of Wilmington, Delaware. Nothing remains of the fort at the site of their first landing, but a natural stone wharf that came to be called "The Rocks," which is preserved in the Fort Christina State Park. Nearby the non-profit Kalmar Nyckel Foundation built a full-sized working replica of the Kalmar Nyckel. 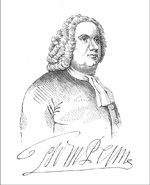 William Penn, and the following year added what were then called the "Three Lower Counties upon Delaware" and today comprise the state of Delaware. Under Penn and his successors, a large numbers of English settlers came to the valley, many of them fellow members of the Society of Friends, known more simply as "Friends" or Quakers. Their meeting houses can still be seen throughout the Valley, and many of them are still active today. They established large farms, growing grain and raising cattle, some built mills along the creeks of the Brandywine to grind grain into meal and flour. In Wilmington where the river met navigable tidewaters milling operations flourished. Small ships could dock right at the mills, and grain carried by the ships or delivered by Conestoga wagon could be milled and then shipped directly (and cheaply) by water to other American ports and overseas. The large supply and high quality of the Brandywine flour set the international standard for the time, and the river's leading commercial role continued through the first half of the 1800s. Wilmington's Superfine Lane, on the river, was named after the superfine flour milled and warehoused there. The peaceful nature of the Brandywine Valley was shattered in the summer of 1777, when British and Hessian forces fought American Continentals and local militia under George Washington and the young Marquis de Lafayette in the largest land battle of the Revolutionary War. the American capital at Philadelphia. In those days it was wide and swift-running and men, animals and wagons had to be ferried across at Chadds Ford. It was along the steep east bank of the river around the ford that Washington and Lafayette prepared their defense. The battle was fought on September 11, 1777, and - despite a gallant resistance on the part of the Americans, the British and their Hessian mercenaries were victorious. Washington, given mistaken intelligence, failed to guard an important ford on the river north of his positions, where a British force crossed and was able to attack his defenses on the flank. The British drove the Americans to the vicinity of present-day Chester, and then marched to take possession of Philadelphia. American and British wounded were tended to at Dilworthtown Inn's country store counter and the dead were buried in a common grave at the Lafayette Birmingham Cemetery adjacent to the Birmington Friends Meeting where some of the bloodiest exchanges of the battle took place. The full story of the Battle of the Brandywine is told today at Brandywine Battlefield State Park, where a section of the battlefield - including a reproduction of Washington's headquarters - is preserved today. of concerned local residents had the foresight to take quick action at a time when the Valley was threatened by massive industrial development. They permanently protected and preserved more than 32,000 acres of land that is literally the heart and soul of the Brandywine. Then in 1971, the Conservancy opened the Brandywine River Museum in Hoffman's Mill, a civil war grist mill on the banks of the Brandywine River. The Museum has come to be known as the Wyeth Museum for its superb collection of works by three generations of Wyeths and its fine collection of American illustration, landscapes and still lifes. We consider the Brandywine River Museum, to be located at the heart of the Brandywine Valley and Chadds Ford at the crossroads of Rt. 1 and Rt. 100 (now called Creek Road). From there, the Valley reaches out to embrace the surrounding towns and historic districts of Kennett Square, Avondale, West Chester, Glen Mills, Concordville, Dilworthtown, Fairville and Unionville in Pennsylvania. In Delaware, it includes historic Centreville, Greenville, Montchanin, Hockessin and Yorklyn and Wilmington. And there are many other small historic places like Hamorton Village at the corner of Rt. 52 and Rt. 1, that are included as well. For you see, the Brandywine Valley does not recognize state or county lines. It is defined more by a state of mind, and its influence is more a matter of karma that demarcation. Relaxed in tone and temperament, the historic Brandywine Valley leaves city life where it finds it... just a short drive away. Visitors who come to enjoy the cultural treasures, the beautiful scenery, the food and country casual way of life, find that we drive a bit more slowly on the winding country roads and rarely, if ever, blow our horns for any reason other than to acknowledge a friend. Come enjoy our world class attractions and settle in a bit. You'll find we are a great place from which to strike out, explore and discover the Mid Atlantic's other charming, intriguing and historic diversions. Philadelphia is just 25 minutes away. Baltimore, Washington D.C. and New York City for that matter, are about two hours by car or train. Still closer is Amish country, Lancaster, with its outlet shopping and shoefly pie. In the summer, the Delaware beaches and Cape May are also about two hours away. And if you have an itch for the casino scene there's Atlantic City, Harrah's Chester: Pennsylvania Casino & Racetrack, Parx Casino in Bensalem, PA and Delaware Park just south of Wilmington. No matter your particular passion or pastime, there will be something for you. And if you have discovered something special in the Valley or close-by that you would like to share, we invite you to email us at hello@thebrandywine.com.